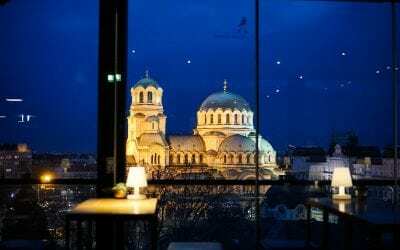 Sofia is one of Europe’s most affordable capital cities, and accommodations offer a great bargain. There’s a wide variety of options available, from excellent hostels to mid-range rooms to luxury options. The great thing about Sofia is its compact size: you can stay in the city center without breaking the budget, and most sites will be within an easy walking distance or a short tram ride away. But the best thing is the relative value you’ll get compared to Western European capitals – so if you have any wiggle room in your budget, now is the time to splurge!